Every women dream of having flawless skin and an hourglass figure! 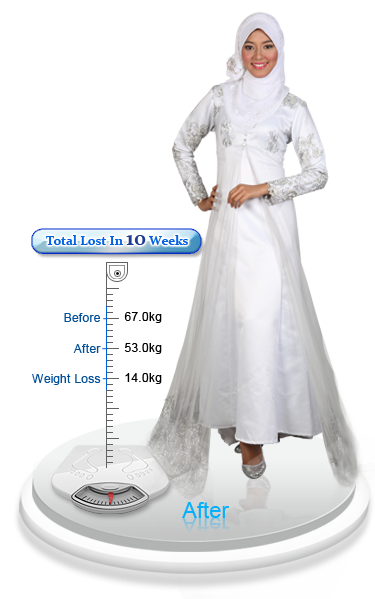 Before Mayfair Bodyline I had try several slimming centre to try out some of the programs. Yet, the result leaves much to be desired! When I was about to give up, a friend of mine who just complete her Postnatal Slimming Programs at Mayfair Bodyline had stir up my desire to slim down! Impressively, unlike other slimming center which I encounter before, Mayfair Consultant had conducted an in-depth consultation session which tends to understand the root of my obesity problem. She had advised me to consume nutritious food to regulate bodily functions before proceeding to slimming therapies! She had recommend to undergo Mayfair Slim Master to break the exceed store fat on my body. Within 3 months, I have lost 14kg in total; I never feel so great like this before!